We focussed on impacts around human health, air quality, tunnel filtration, transport, noise and social impacts. Whilst the project offers potential benefits to the community with the removal of around 9,300 trucks per day off residential streets, there are some localised negative impacts that will result from the project in its current form, including increased truck numbers and air pollution on some residential roads. The project must be designed to mitigate these negative impacts and the assessment methodology greatly underestimates the effects these will have on the community. The submission was a massive undertaking over a very short amount of time. Well done to all MTAG committee members involved in putting this together. The next step is the Public Hearings held at the Footscray Community Arts Centre. This is where submitters and expert witnesses can present to the government appointed Inquiry and Advisory Committee, appointed to consider the EES. The Western Distributor Authority and their contractors are also cross examined as part of the process. MTAG will be presenting to the panel on Tuesday 12th September at 6pm. It is open to the public so please come along. For way too long residents of the City of Maribyrnong have paid an unfair burden of having their residential streets used as trucks sewers to move freight in and out of the Port of Melbourne. This impact has seen our city experience some of the worst health outcomes, compared not only to Greater Melbourne, but more widely to state and national health statistics. MTAG met with Sir Rod Eddington when he was researching the East West Needs Assessment Study in 2007. We elected to have our meeting with him on the footpath outside Yarraville Community Centre on Francis Street. 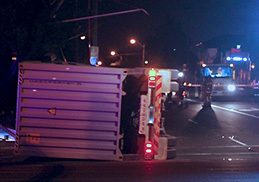 He was shocked at what he experienced and said to us “In all my years looking at infrastructure around the world, I have never seen a situation like this where a western country sends its freight down residential streets like this.” He really could not believe what he was experiencing here in Yarraville. The noise, the smell and the fear of being as close as just a metre to passing trucks while standing on a footpath in the world’s most liveable city. Yet despite this the community here has waited and waited for action as the trucks slowly poison us year after year after year. We have watched as plan after plan has been put on the table and discussed and discussed and then eventually discarded. These have included West Link, the East West Link, The Victorian Transport Plan, the West Gate Distributor Stage 1, The West Gate Distributor Stage 2, The Western Distributor, Project 10,000 and now the West Gate Tunnel Project. MTAG has always believed that purpose built road infrastructure is one part of the solution needed to rid residential streets of port trucks. Almost every industrialised country in the world has direct freeway access to their ports. Trucks will be part of the freight movement mix for the foreseeable future and Melbourne desperately needs direct truck access to its port. But we also urgently need freight on rail, efficient freight movements, cleaner fuels, cleaner trucks, smarter freight companies, a port committed to real environmental initiatives and decent land use planning and changes. We also need the rest of Melbourne to own up to this problem, it’s a Melbourne wide responsibility to end the environmental injustice in our community. MTAG has never asked for a toll road; we have never asked for the truck problem to be shifted onto another community; we have never asked for a private company to plan a freight solution that stands to benefit its shareholders for decades to come. What MTAG has asked for is an end to the truck problem in our community. 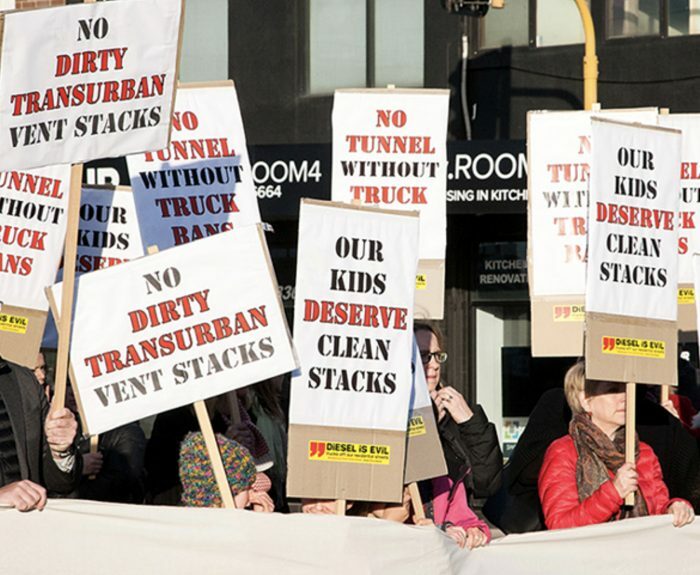 The proposed West Gate Tunnel Project has the potential to be a game changer for our community but it must come with tunnel filtration, permanent air monitoring, truck bans that can’t be diluted or undone by future governments, the best noise and pollution barriers possible, guarantees that other residential streets will not bear the brunt of truck bans and no increased dangers for kids in kindergartens, child care centres or schools. This project must deliver outcomes that will benefit all residents. Enough is enough; get the trucks off our streets! 1 response to "MTAG's submission to the West Gate Tunnel Project EES"
I am so sick and tired of this issue. The fact of the matter is that no politicians care about this issue because Maribyrnong is a safe Labor seat. Labor is confident that the voters are rusted onto their party and the Liberals know they will never win the seat. The smart solution to this problem is to move the container port to Geelong. Melbourne is losing millions of tax dollars by allowing the dockland prime real estate to be used for container traffic. Geelong would gain enormous financial income and jobs from establishing the container port and rail hub there. Why is it so hard to make smart decisions? We can't rely on being the "Lucky Country" as we sit on our hands and watch out luck run out.